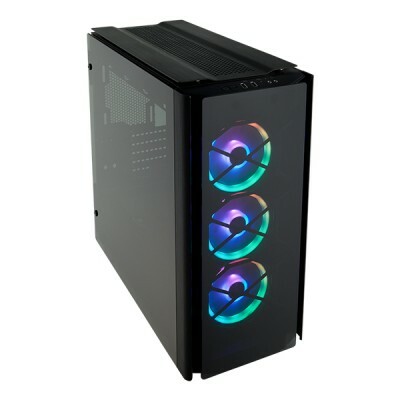 The Obsidian Series 500D RGB SE is a premium mid-tower enthusiast PC case with aluminum construction, smoked tempered glass panels, and stunning RGB lighting enabled by CORSAIR Commander PRO. 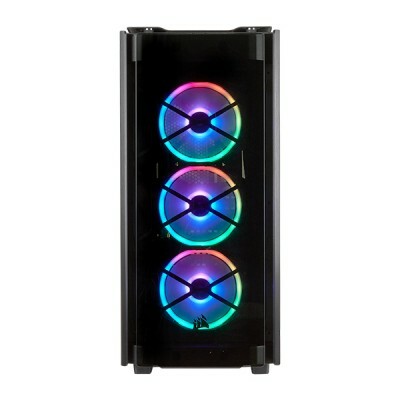 Three LL120 RGB fans create a symphony of stunning RGB color, with space for up to six. 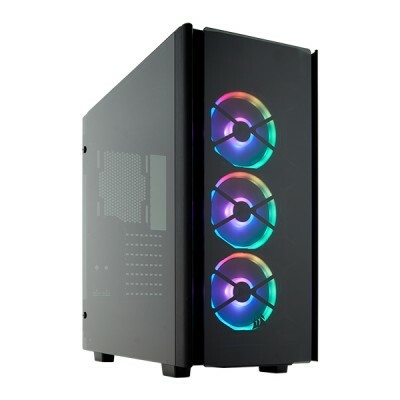 Iconic Obsidian series styling with a beautiful smoked tempered glass front panel and clean exterior lines, finished with dazzling RGB lighting. 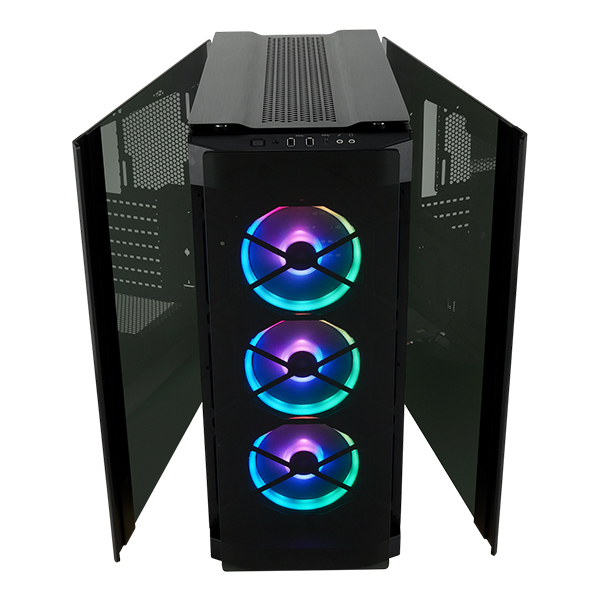 An integrated CORSAIR Commander PRO fan and lighting controller grants superior control over almost every aspect of your system via CORSAIR iCUE software. Solid aluminum top plate and door handles add a refined feel and premium look. 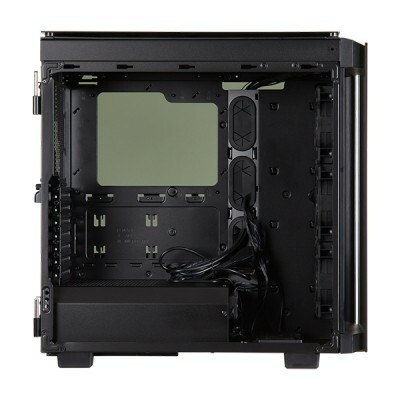 Installing fans and radiators is now easy with removable trays that can hold up to five 120mm fans or four 140mm fans. 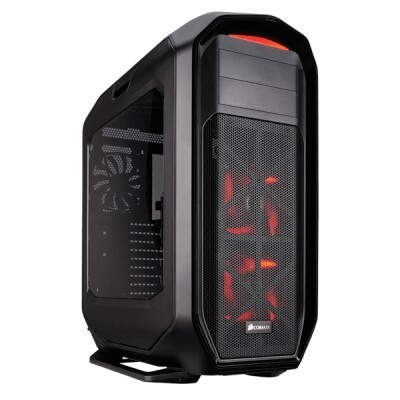 Direct Airflow Path™ design channels cool air where your PC needs it most. Featuring a super-speed USB 3.1 Type-C port and additional connections for all modern peripherals. Easy-to-use mounts for up to two 3.5in HDDs and three 2.5in SSDs. Hide your cables behind the motherboard tray to keep your build looking tidy with the included PSU cover and rear cable cover. Keeps your system clean, long after your build is finished. Powerful CORSAIR iCUE software brings your system to life with dynamic synchronized RGB lighting across your whole system, customizable fan speeds to silence fans and advanced system monitoring.